Here we&apos;ve rounded up the best street market for you. Temple Street is the best place to go for some enjoyable browsing and a good time. The others are meant more for serious shopping for bargains. What you can buy: Various kinds of goods at low prices are sold in this 600-meter street, such as clothes (including colorful T-shirts and embroidered Chinese jackets), handicrafts, tea sets, jade articles, antiques, and electronics. Some “famous brands” are also available there, but often priced very cheaply, because many of these goods are fakes and copies. Other things to do: In addition to the street market itself, you will also find lots of stalls serving unique snacks, and clusters of fortune tellers offering palm readings, face readings, and tarot cards. You can appreciate some Cantonese opera near Tin Hau Temple (in early evening). Experience the spectacle of Hong Kong local life. How to get there: Take Exit A at Jordan Subway Station, turn right and Temple Street is at the third junction. 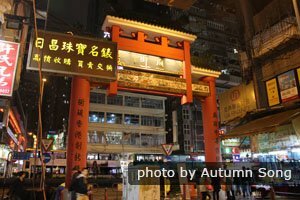 Or take Exit C at Yau Ma Tei Subway Station, and walk along Man Ming Lane to Temple Street. It is probably the most famous street market in Hong Kong — a must-visit street market for tourist visiting Hong Kong. Both Ladies Market and Ap Liu Street are more like Chinese local street markets than Temple Street. Ladies Market got its name for mainly selling feminine goods in the past, particularly clothing, though there are plenty of men&apos;s products sold too. Be aware that a lot of fakes and copies are sold. Check out each item you consider buying carefully. Check to see if they allow for returns. This isn&apos;t common in Chinese-style markets. The market lies along a kilometer stretch of Tung Choi Street and on adjoining side street areas. You may find the crush of crowds of young Chinese people in the late afternoons and early evenings hard to bear. 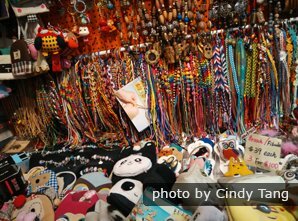 What you can buy: Though ladies are the main customer group of this street market, clothes for women and men, plenty of cheap Chinese curios, household articles, accessories, tourist souvenirs, are available there. Transport: It is about 1.5 kilometers north of Temple Street. You can simply take Exit E2 at Mong Kok Subway Station, and walk across two crossings, or take Bus 6 along Nathan Road. You might enjoy a walk along Nathan Road. Ap Liu Street for Bargains on Electronics. 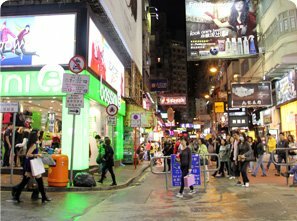 The Ap Liu Street area next to the Sham Shui Po MTR station has even cheaper products than Ladies Market because it is further north from the main downtown Tsim Sha Tsui area. Ap Liu is known for bargains on a wide variety of new and used gadgets, electronic appliances, and computer products. In the shops in the area, you can also find toys and gifts for children, antiques, watches, coins, and clothing. What you can buy: Apliu Street Market is a flea market for brand new or second-hand electronic equipments, audio equipments, and communication products. 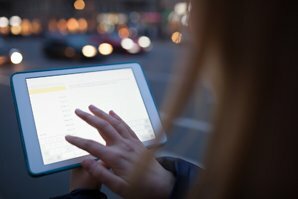 Though the electronic products there are usually good and affordable, buyers should watch out for sellers’ tricks, and remember to bargain. Transport: Take the MTR to Sham Shui Po Station. It is about 3 kilometers north of Temple Street. Lascar Row, also named Cat Street, is separated into Upper Lascar Row and Lower Lascar Row by the Lok Ku Road intersection. There are tens of antique shops along this 200-meter street. It is a street market of antiques and old products, and is a great place for people who are keen on discovering collector&apos;s items. Though the quality of goods in Lascar Road is lower than in adjacent Hollywood Road, cheap and fine goods can be found there: the central premise is that you are a good bargainer with sharp eyes. What you can buy: Oriental antiques are sold there, including porcelain, jewelry, silk, fabrics, coins, jade articles, copperware, embroidery, paintings, and wooden works of art. 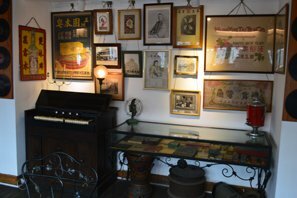 You also can find various old articles there, such as phonographs, old watches, old pens, old telephones, and old toys. How to get there: At Sheung Wan Station (上环站), take Exit A2, walk along Hillier Street (禧利街) to Queen&apos;s Road Central (皇后大道中), and step up the stairway on your right to Lascar Row. An antique shop in Hong Kong. Hollywood Road has a combination of eastern and western cultures. Soho area (southern Hollywood Road) has many foreign-style restaurants and bars, and west of Hollywood Road is Lan Kwai Fong, one of Hong Kong’s attractions with lots of bars and restaurants. Visitors can easily find a meal or a drink after strolling around and shopping in the antique shops in Hollywood Road. Hollywood Road got its name from the holly on both sides in the past. It was part of old Hong Kong town. There are hundreds of antique shops of different sizes, which are all full of various antiques, and look like museums. What you can buy: Chinese-style furniture, scroll paintings/calligraphy, and porcelain; antique electronic fans, phonographs, watches, pens, and lighters from Western countries; and gold, silver, jewelry, and lacquer works from Asian countries (including Japan and Thailand). Most tourists visit Hollywood Road to purchasing antiques and really precious relics. The source of the precious relics is always a controversial item! What you can buy: Various dried seafood from around the world is available, including dried abalone, dried scallops, dried sea shrimp, and dried fins. Besides various dried seafood, dried medicinal materials, cured meat, sausages, and edible bird’s nests are also available. How to get there: Take Exit B at Shuang Wan Subway Station, and walk left to Morrison Street and Wing Lok Street, and then turn right onto Seafood Street (Des Voeux Road West), between Queen Street and Centre Street. What you can buy: Stanley Market is a great destination for purchasing various goods, including Chinese-style works of art, silk fabric, antiques, and king-size clothes. Most stalls don&apos;t allow bargaining now. Stanley Market was once a fishing village: Stanley Village. It is quite near the beach, where there are many bars and restaurants. After shopping at Stanley Market, you can walk to the beach to have a meal (about 25-minute walk), as well as appreciating the graceful sea scenery. 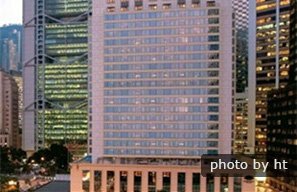 How to get there: Located in south Hong Kong Island, take bus 40 (from Exit B at Causeway Bay Station), or bus 6, 6A, 6X, 66 or 260 (from Exit D at the Bus Terminal in Exchange Square, Chung Wan). 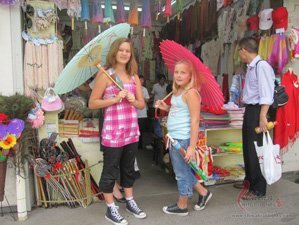 The street markets are generally where you&apos;ll find a lot of low-priced, Chinese-made products. These are often copies and fakes, and might even be illegal to buy in your countries. You’ll find a lot of factory reject products too. Compare prices: Check to see what other shops are willing to sell for. Bargain: They may try to sell something to you for many times what the product costs. Check the product carefully: A favorite tactic is to wrap an inferior product in a package for another product (switch and bait). Another tactic is to take out pieces of a product (so some functions won’t work). Ask them to let you test out the particular item you are thinking of buying. Electric or electronic compatibility: Check the voltage and plug/socket of any item you want to buy. Returns: Most stores won’t allow returns. Fakes and copies: Products might be expertly packaged and designed, and actually work, but are fake. Remember that these items might not pass customs, and there might be customs prosecution. Consumer Council Hotline: In a dispute or problem, try calling 2929 2222 for assistance. See more Hong Kong Tours. 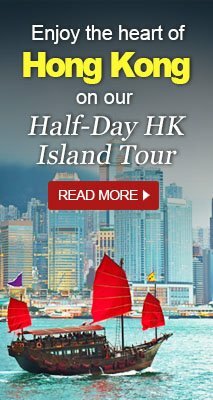 Our tours are customizable — tell us your interests and requirements and we will help you to tailor-make a Hong Kong tour.